EV0 2017, the fighting game event which sees various fighting games in tournament form, provided plenty of nail-biting surpirses – including a comical moment which saw a player give money to another player in an attempt to stop his combo – but non were as big as the surprise that Arc System Works dropped during the finale of the event. 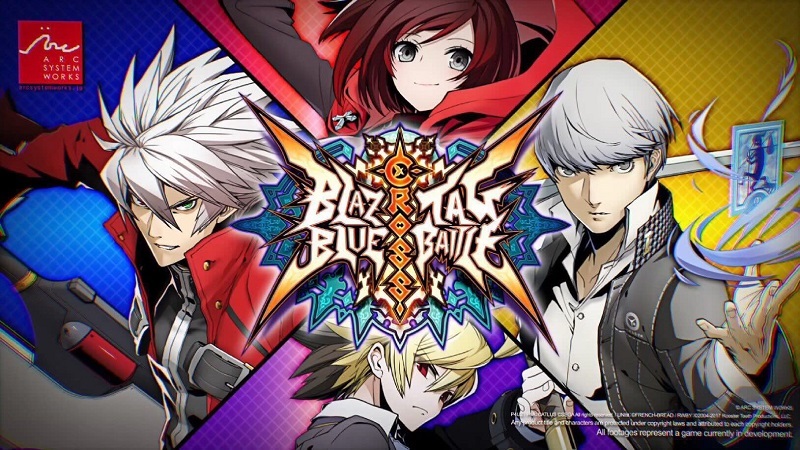 Introducing BlazBlue Cross Tag Battle; an upcoming 2D sprite-based cross-over fighting game featuring, as it stands, characters from BlazBlue, Persona 4 Ultimate Arena and UNDER NIGHT IN-BIRTH; games of which Arc System Works have previously worked on. In addition to these titles BlazBlue Cross Tag Battle will also feature characters from ROOSTER TEETH’S animated series RWBY with Ruby Rose currently confirmed as a playable character. As it stands Ragna the Bloodedge and Jin Kisaragi from BlazBlue: Central Fiction, Yu from Persona 4 Ultimate Arena, Hyde from UNDER NIGHT IN-BIRTH, and Ruby Rose from RWBY have all been confirmed as playable characters; and more characters are expected to be announced in the coming months. Arc System Works have yet to reveal and concrete details surrounding BlazBlue Cross Tag Battle, such as platform or western release, but it will be available during 2018.